In the wake of the 50th anniversary of the University of Notre Dame’s Hesburgh Library, the University will begin an interior renovation of the iconic building later this month. Named in honor of President Emeritus Rev. Theodore M. Hesburgh, C.S.C., the Hesburgh Library is the flagship for Notre Dame’s library system, collectively called the Hesburgh Libraries. Grand in both vision and scale, the building is more than 440,000 square feet, stands 14 stories tall and is believed to have been the largest collegiate library of its day. 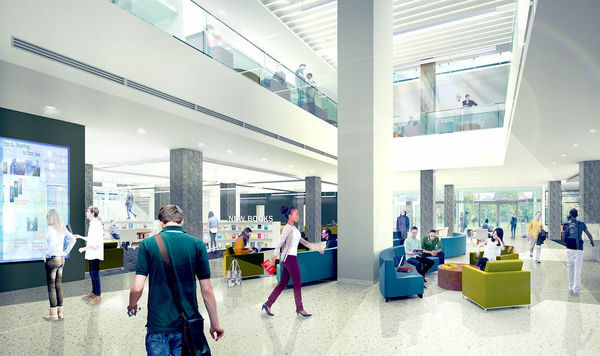 In the 21st century, students and faculty demand that libraries provide access to interdisciplinary and collaborative spaces, state-of-the-art technologies and advanced research expertise. Building on its long-standing history to support and foster rigorous scholarship, inquiry and research, the University will launch the first phase of renovation Dec. 22, just after the end of the academic term. The project will address the changing needs of students, faculty and staff as they encounter new and evolving forms of scholarship in the digital age. The master building program plan provided by Shepley Bulfinch, the architectural firm of record, was created with input from students and faculty across campus. As much of the interior space appears as it did in 1963, the proposed changes will transform almost every corner of the 14-story structure. 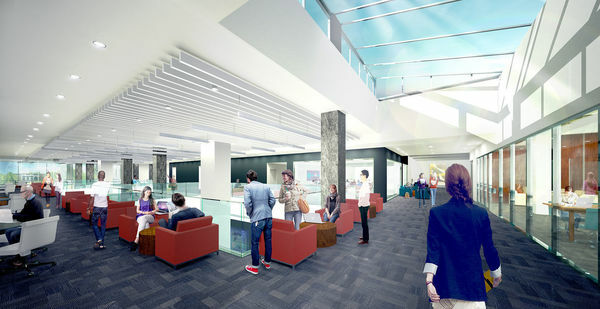 Phase One of the comprehensive project is called the Entrance Gallery, and Tower Floor Ten. Future phases will be completed over several years depending on future benefaction. 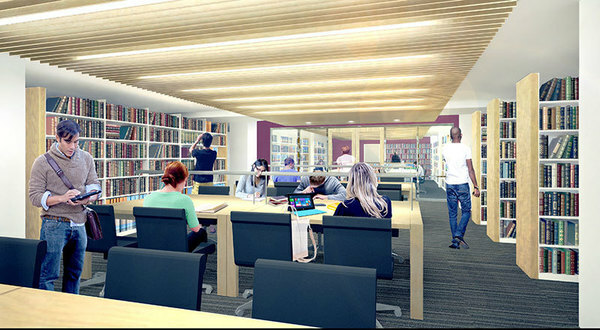 “Since we’ll need to keep the library operating throughout the renovation, and so that we can raise funds as we go, the architects have mapped out multiple phases and projects for the work,” Walker said. More information is available online at renovation.library.nd.edu. Anyone interested can follow the story of transformation through photos, webcams and time-lapse photography. Photo galleries and panoramic 360s of the current interior allow for an experience of the space one last time, while before-and-after comparisons and architectural renderings reveal the transformative vision soon to be realized. The renovation website also features tools designed to help patrons navigate access to library spaces, services and expertise. Originally published by Tara O’Leary at news.nd.edu on December 02, 2014.